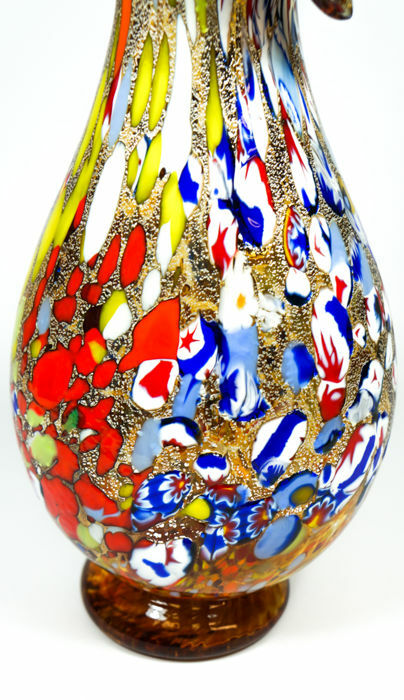 Height 28 cm, width 14 cm, weight 850 grams. 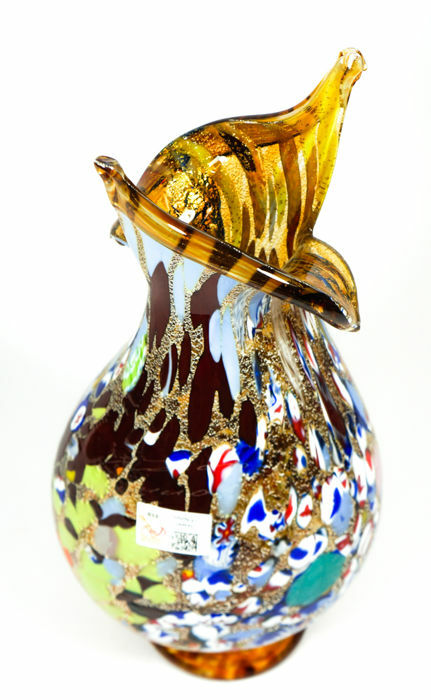 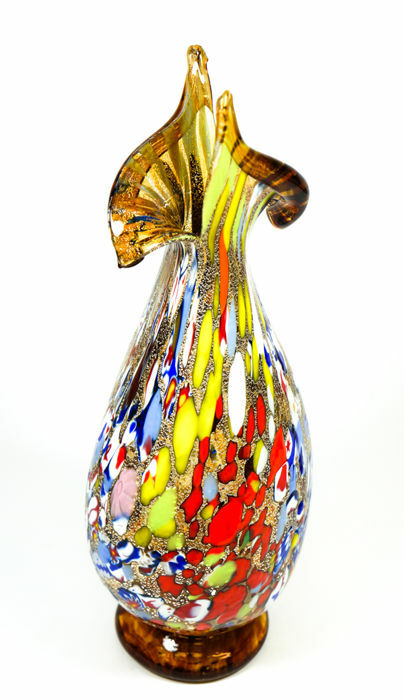 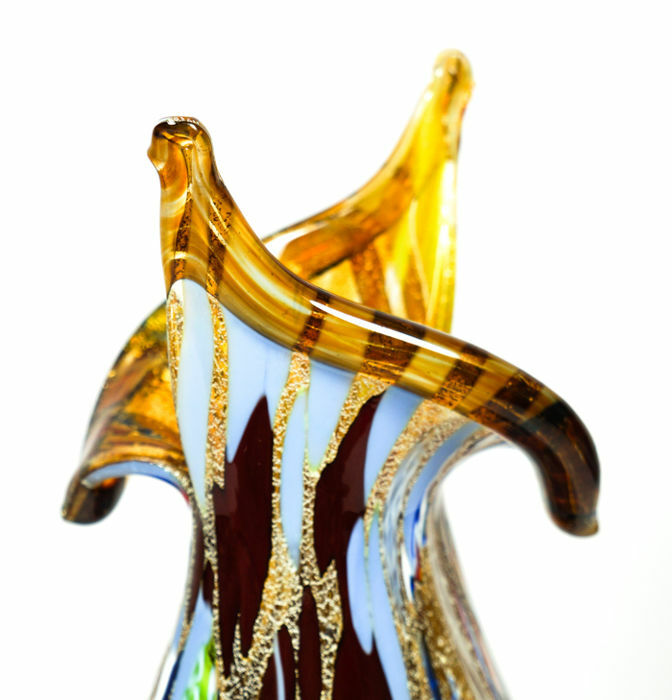 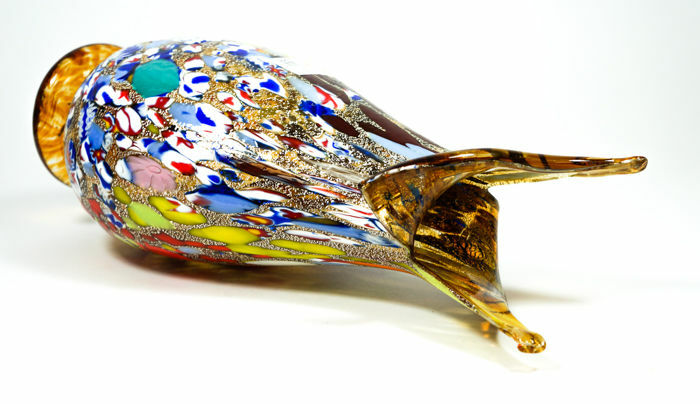 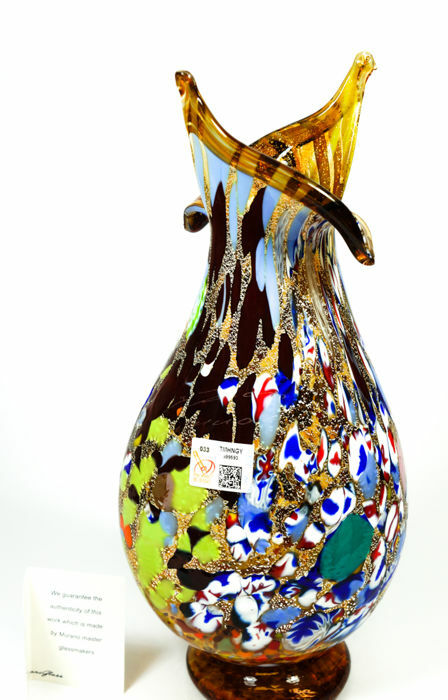 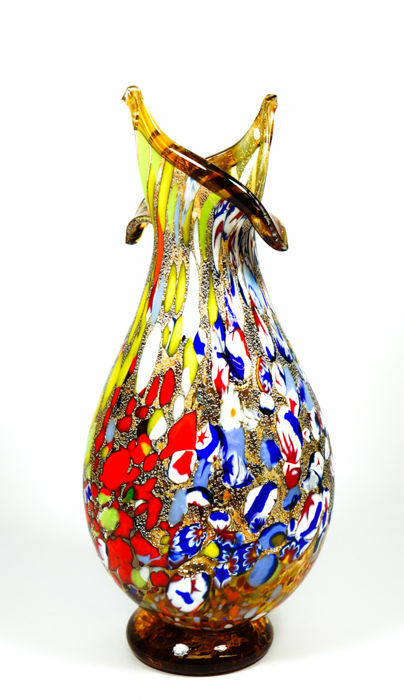 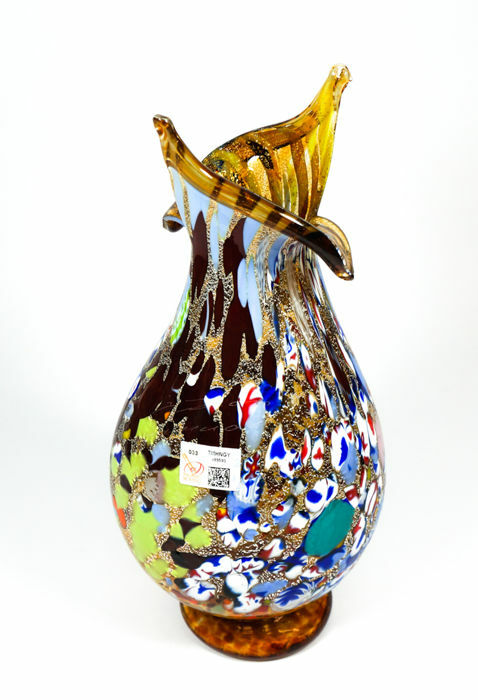 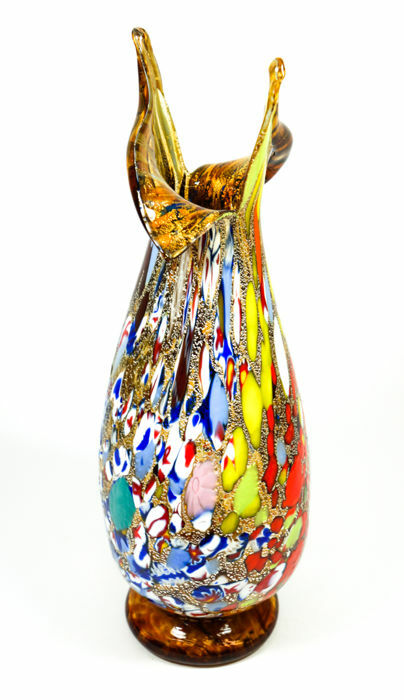 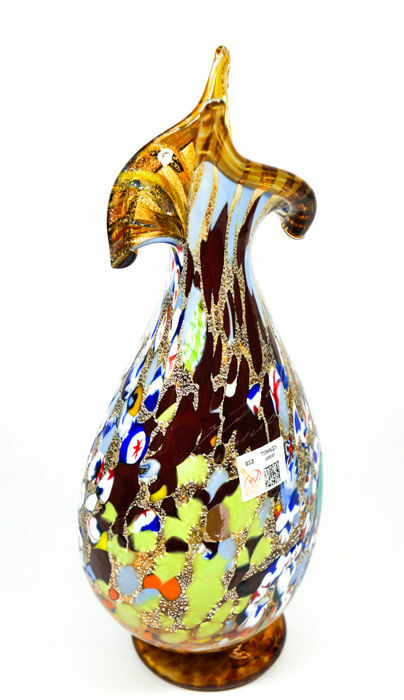 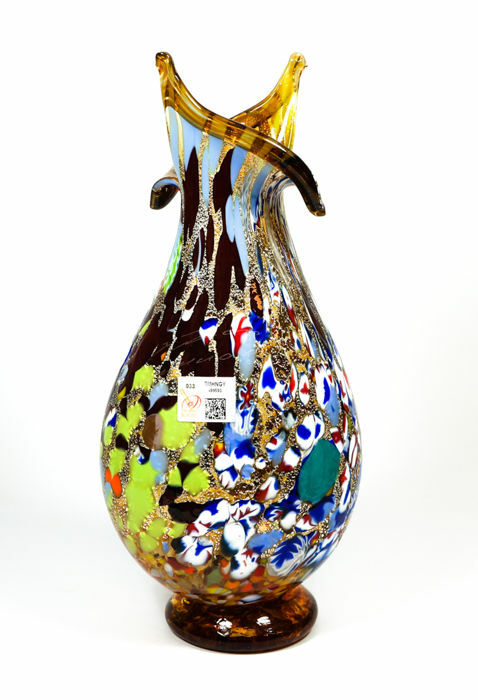 Taglio vase in Murano blown glass, entirely handmade. 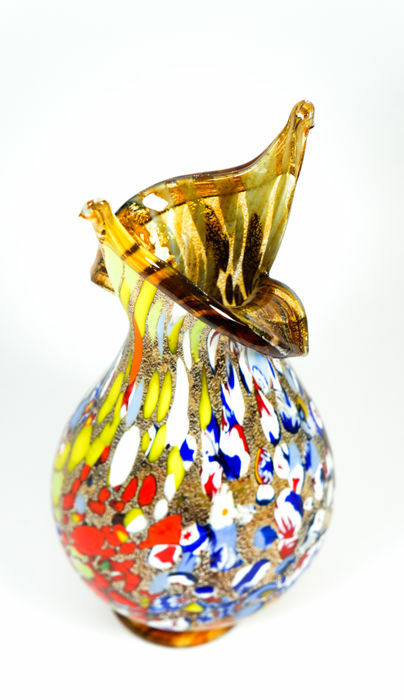 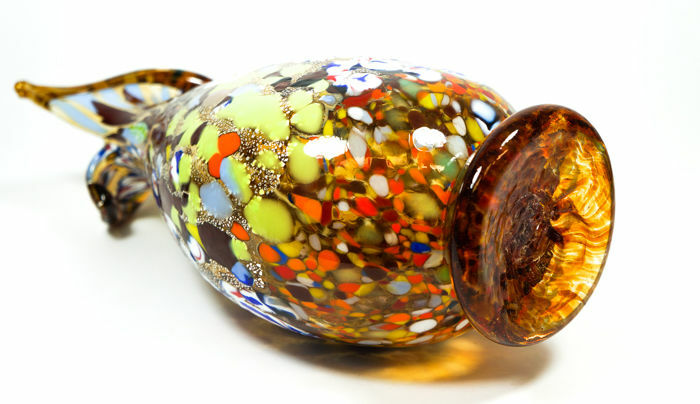 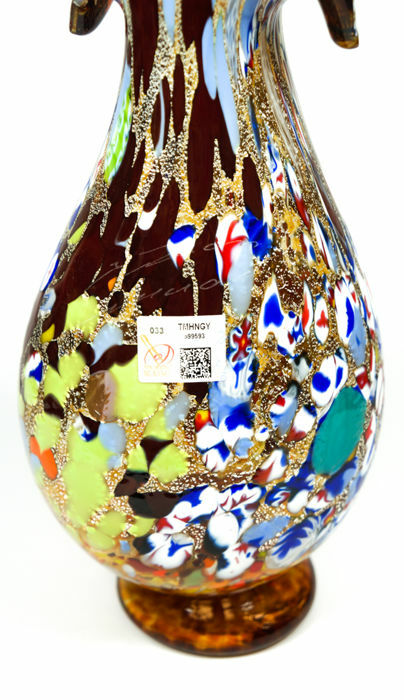 Amber colour with Murrina Millefiori decorations, multicoloured glass Mace, silver leaf and amber base.